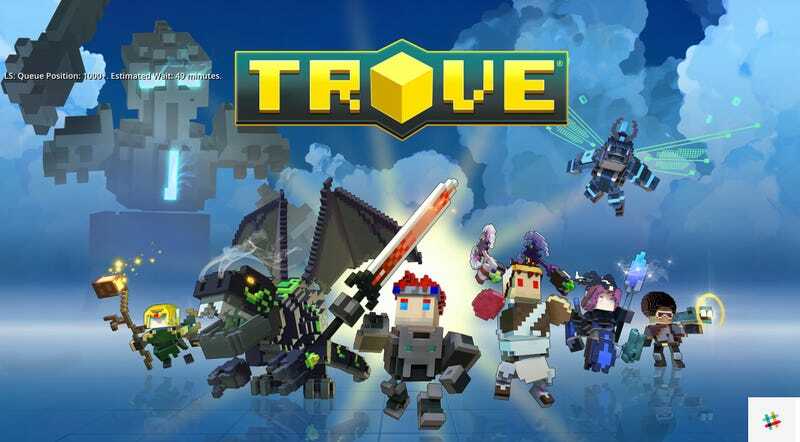 So, Trove seems pretty popular. So, Trove seems pretty popular. I had hoped to do a First Five of Trion Worlds’ free-to-play voxel-powered MMO, but with my login queue time hovering around an 50 minutes for the better part of an hour, my blocky adventure shall have to wait.